It may take a village to raise a child, but it also takes cribs, car seats, and an arsenal of safety gear. But not all products intended to keep kids safe are designed to last forever. Parents should consider the “life of a product” when deciding whether or not to hold on to certain children’s products. Your child’s helmet or car seat may still be usable, but that doesn’t necessarily mean it’s safe. In an effort to educate consumers on how long different types of products can be used safety, the safety experts at Kids in Danger (KID) have broken down the average amount of time products can be used before becoming too old or worn out to be safe or functional. Car seats. Car seats last an average of six years from when they were manufactured and should always be discarded after being involved in a crash (because they are only designed to withstand one incident). Helmets. Just like car seats, helmets should always be discarded after a crash. To ensure the integrity of a helmet, avoid buying one secondhand. Used helmets may already have been involved in an incident. Bassinets. Swings, bassinets, and other products that are only used for a short time typically don’t get enough wear to warrant disposing of after a few years, says Nancy Cowles, executive director at KID. Older products. To avoid putting your little one in harm’s way, take the time to research older or secondhand products. Even if the product hasn’t been recalled, it may be wise to read other consumer’s safety reports through the saferproducts.gov database. Toys. Both indoor and outdoor toys should be checked regularly for wear and tear, broken parts, or missing safety gear like restraints. 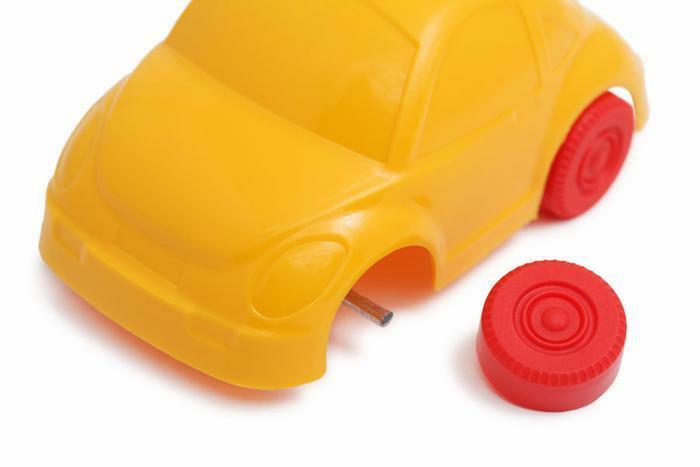 For help judging the safety of older toys, check out the Consumer Product Safety Commission’s resale guide or visit CPSC’s toy safety page.